News flash: Hiring managers are human. Just like all people, they’re prone to misjudgment because of internal biases and being influenced by emotions and past experiences. Also, there is an innate human tendency to avoid mistakes instead of achieving success. And this is bad for hiring. Because of this hard-wiring, deep rooted in survival instincts and human psychology, it’s impossible to be objective and accurate in our perceptions. This pertains to every aspect of our life and becomes heightened when we’re dealing with other people. Second news flash: The biggest psychological issue we have as humans is dealing with other human beings, not our cat or our stuff. We have a positive bias towards people who are similar to us. We have a negative bias towards people who are different than us, though we often need someone very different in a job candidate. If we find a quality we like in a person, we unconsciously tend to assign a positive bias to attributes we know nothing about, a phenomenon called “the halo effect.” We do the opposite when we don’t like a quality. We filter our present through our past and make too many unconscious assumptions as a result. For example, if I had a “negative experience” with a person who worked at ABC company in the past, a candidate who currently works at ABC company is starting off negatively with me, if only subconsciously. Since dealing with other human beings is the biggest issue of human psychology, how can it not be a key influencer in hiring? Every issue we have is triggered when meeting another person. And interviews put even more pressure on these characteristics. It’s a forced situation where there’s something to be gained and lost. Our emotional antennae are heightened. Any time we want something from each other, our cognitive and emotional issues are on alert and the above biases can get exaggerated. Which leads me to my main point: There is no such thing as an objective interview — it’s an oxymoron. You can’t do it. It’s impossible. Psychologists agree that the vast majority of what’s going on in our brain is in our subconscious. We don’t realize the misjudgments we’re making at every moment. So what’s a hiring manager to do? Never hire someone that you don’t like, but use gut instinct to rule someone out, not to rule them in. Unfortunately, most hiring is highly affected by how much the hiring manager likes a candidate. The danger is that it doesn’t tell them if that person’s innate characteristics and abilities align with the job and corporate culture. While interviews are important, they don’t tell you what the person is really like. And that’s why 46 percent of all new hires fail within 18 months, according to a recent Forbes article. 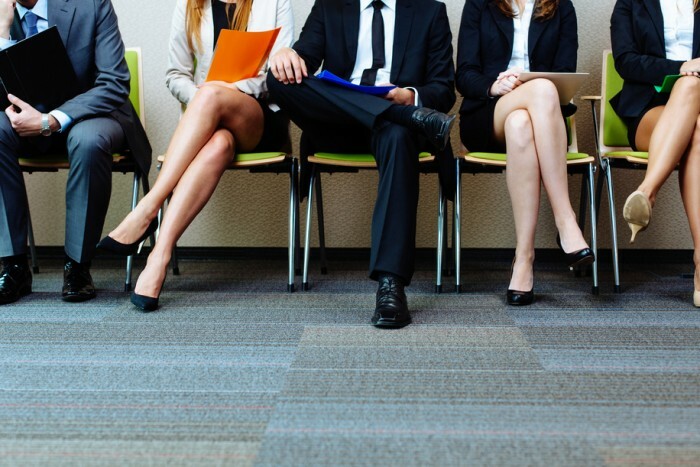 So, how can a hiring manager combat these innate tendencies? Use an objective, science-based assessment process up front, and then focus on candidate experience and values. In other words, factor out people who can’t do the job, so your innate biases are less likely to result in a bad hire. Prepare your questions in advance to learn more about the candidate’s skills, experience, attitude and values, so the interview doesn’t get sidetracked by whether you like or dislike the person. This helps improve objectivity. And remember a “bad attitude” is often the effect of poor fit with job duties or environment and not the true cause of the person not working out. Attitude is rarely a stable characteristic. It usually becomes more positive or negative depending on job and culture fit. You have things in common or don’t. You have similar personalities or don’t. You find a trait you like or trait you don’t like and expand from there (the “halo effect”). By realizing when this occurs, you can minimize the danger of misjudgment. Remember, hiring is like dating with your clothes on. We each want something from each other, and we tend to put our best foot forward. But, it’s a person’s innate ability, relevant experience and desire/passion for a particular job that matters, not whether they’d make a nice dinner guest.